To some people, physical therapy is the unknown, not knowing what to expect at the first and subsequent appointments. To others, going to physical therapy is old hat just like their hair dresser or barber. They have had multiple surgeries or injuries and the physical therapist has become part of their extended family. Here are a few tips to help ensure to make the most of your physical therapy visits! Make sure to come prepared for your first visit, let them know what is bothering you and be sure to share how you became injured. Physical Therapists are like detectives, we want to know the cause and effect of your injury. Set reachable goals for your appointments or a big goal you would like to reach at the end of all your physical therapy appointments. Let your therapist know and they will help you reach your goals. The key to your success is haring your goals with your therapist, share what you want to get back to in life! Come to your appointment wearing comfortable clothes that you can move easily in and athletic shoes if you will have a lot of moving around with exercises. Physical therapists might need to look at the injured body part and the body parts above and below the injury. We can work magic, but we do not have x-ray vision. Be an active part of your rehab team, not just the patient. Ask questions and take notes, if you feel extra sore or extra pain let your therapist know and ask for tips to manage pain. Patients who are proactive with their care will have far better outcomes and achieve their goals! If your therapist gives you exercises to do at home, make sure you follow through with them. The purpose of the exercises is to help you reach your fitness goals and heal your injury. Consistency with exercises during, and after your therapy, will ensure you are able to get back to your life and not required continual care. Physical Therapy is an opportunity to have a medical professional educate you on your injury and how you can return to life. Physical Therapy should not be scary, it should be fun and will be beneficial to a healthier life! 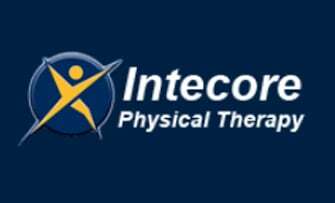 Interested in Physical Therapy? Click Here to Schedule a FREE Discovery Visit to learn how we can help return you to life.